Imagine if the resources of your complete source for engine and generator power were at your disposal whenever you needed them. With CK Power’s rental department, that’s not far from the truth. At any given moment, we’re standing by to make sure the power is on for your emergency or planned job. A quality, reliable power source is absolutely critical for doing business. Frequent outages and finicky connections simply aren’t an option in advanced economies. Luckily, renting a generator from CK Power provides that reliability, regardless of where you’re doing business. 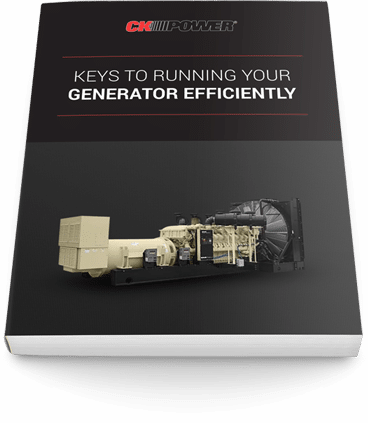 Renting a generator set can provide immediate power solutions for outages, shortages or special projects. With 75 years of power generation experience, CK Power is a name you know and trust. For all your temporary power generations needs, a large fleet of rental gen-sets is standing by at CK Power and ready to roll to your site. All of our rental equipment is designed for quick hook-up and is available with a trailer mount. CK Power rental gen-sets are self-contained and feature detachable pigtails for power hook-up, line-power circuit breakers, exhaust silencers, lockable voltage selector switches, single-phase, fuel to operate 24 hours, auto start and safety shutdowns. A variety of service options are for rental equipment is also available. Factory-trained technicians are ready to deliver the equipment to your site and to instruct your personnel to appropriately run the machinery, or even stay at the site throughout the duration of the job. Or, you may opt to have your own qualified service personnel pick up and connect the equipment at the job site. Whichever option you choose, the lights will be on at your job site in no time with rental equipment from CK Power. Ready to talk about bringing power to your job site? Just want to make sure the lights stay on? Let’s talk about how CK Power can bring a reliable and affordable source of power to wherever you need it. Check out our product offerings by downloading our rental brochures and get in touch with our rental department to discuss options, pricing and availability.